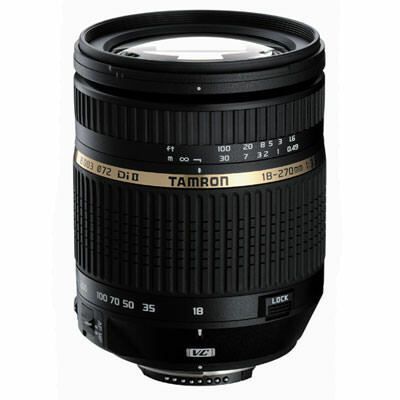 From tomorrow (15 July 2011), customers purchasing a new Tamron 18-270mm PZD lens can claim a free pair of Steiner Safari 8x22 binoculars - worth £99! As the 18-270mm PZD lens is the ideal travel lens, couple this with the Steiner 8x22 Safari binoculars and you have an ideal travel kit for your holidays. The promotion runs from 15 July 2011 to 15 September 2011. Claims must be received by Intro 2020 on or before 30 September 2011. To be able to claim the binoculars, the products must be purchased in the United Kingdom and Eire only, from an authorised Tamron stockist (visit the Intro 2020 website for stockist details). For details of how to claim the Steiner binoculars either visit the Intro 2020 website and download a claim form, or send a copy of your receipt, together with the serial number of the lens to Tamron Promotion at Intro 2020 Priors Way, Maidenhead, Berkshire SL6 2HP. 15 July 2011 also sees the launch of a new Tamron on-line game: Tamron Island. Visit the site and put your photography skills to the test – there is a selection of prizes to win every month from now through to the end of December 2011. Any tests been done with it on a 5d MKII? Can I justify it? Any tests been done with it on a 5d MKII? Totally gutted! My husband and I both bought one of these yesterday morning!! Update! Intro 2020 saw my post (above) and have been in touch to say I can still take part in their promotion, even though I bought the two lens 24 hours before the promotion started. Now a very happy bunny! Pity that don't do a Pentax K fit!